Marnie Lamb – Award-nominated, Toronto-based writer of fiction. Award-nominated, Toronto-based writer of fiction. My name is Marnie Lamb, and I am an award-nominated, Toronto-based writer of fiction. 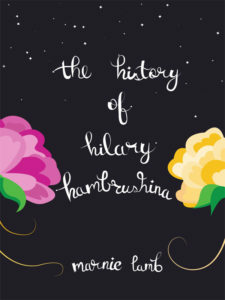 My first novel, The History of Hilary Hambrushina, was published in 2017 by Iguana Books. Follow The History of Hilary Hambrushina on a book blitz from February 25 to March 3. For more details, visit Xpresso Book Tours.